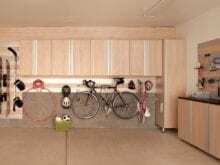 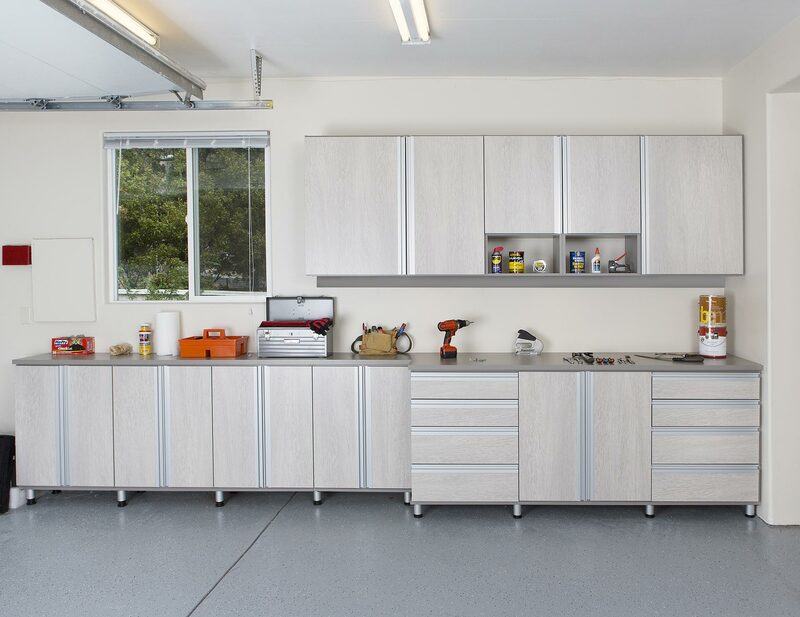 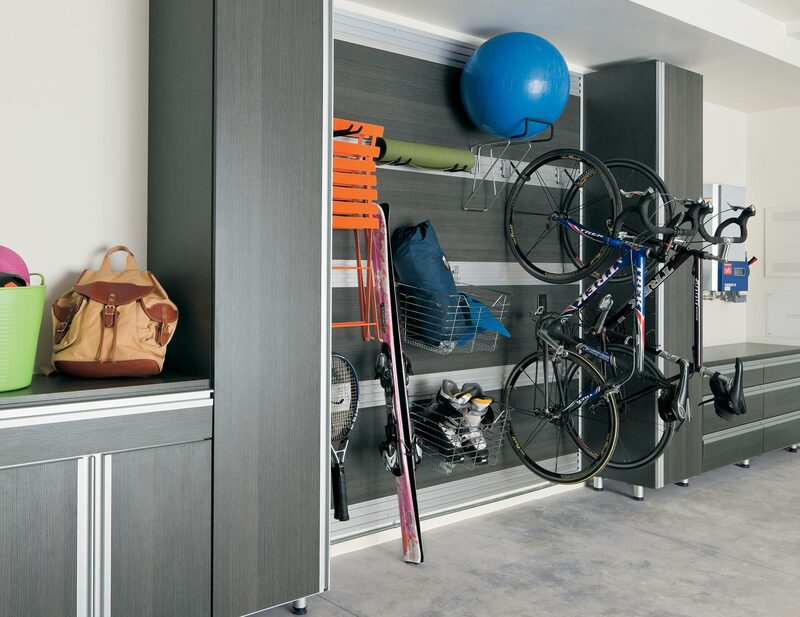 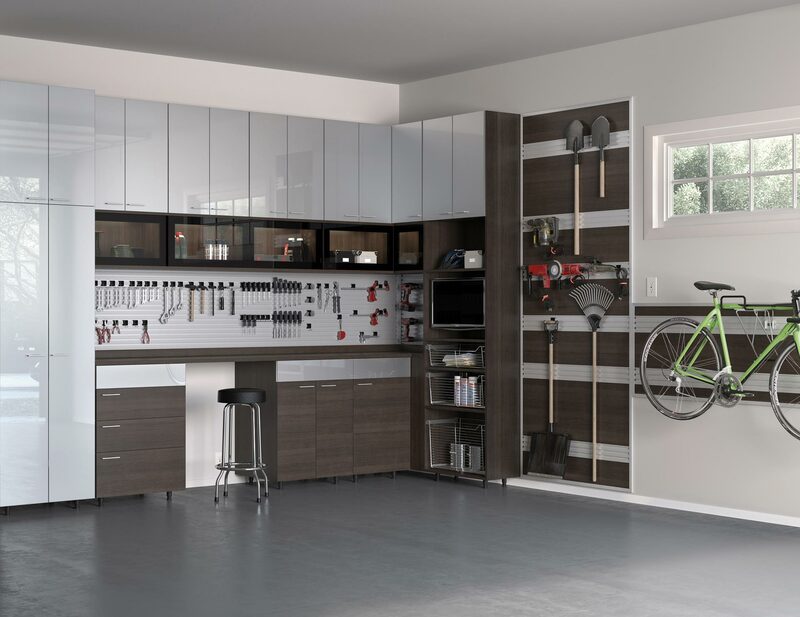 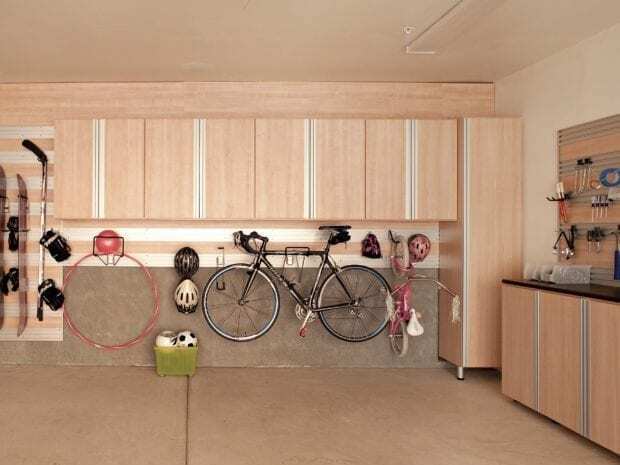 Custom-designed cabinets, drawers, shelves, and specialty racks create a purposeful room for efficiently storing tools, sports equipment, keepsakes, and holiday decorations—maintaining order and making garage organization simple. 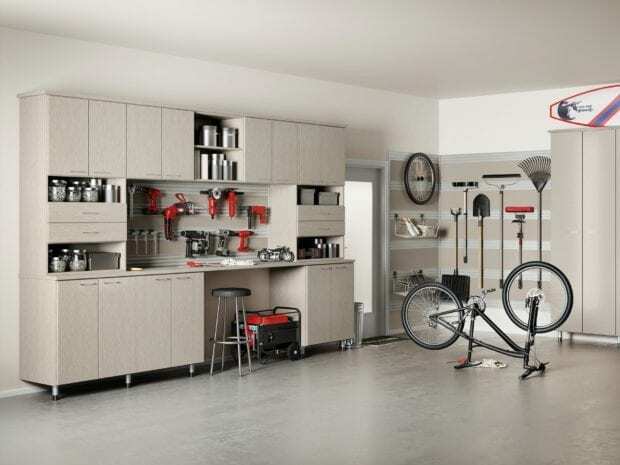 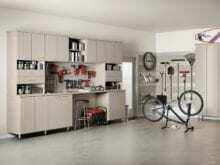 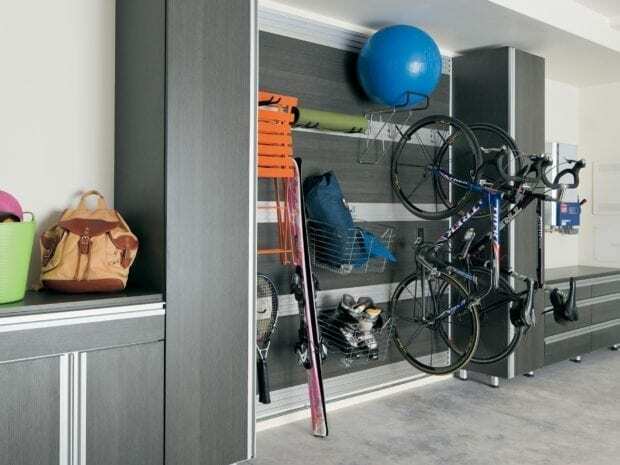 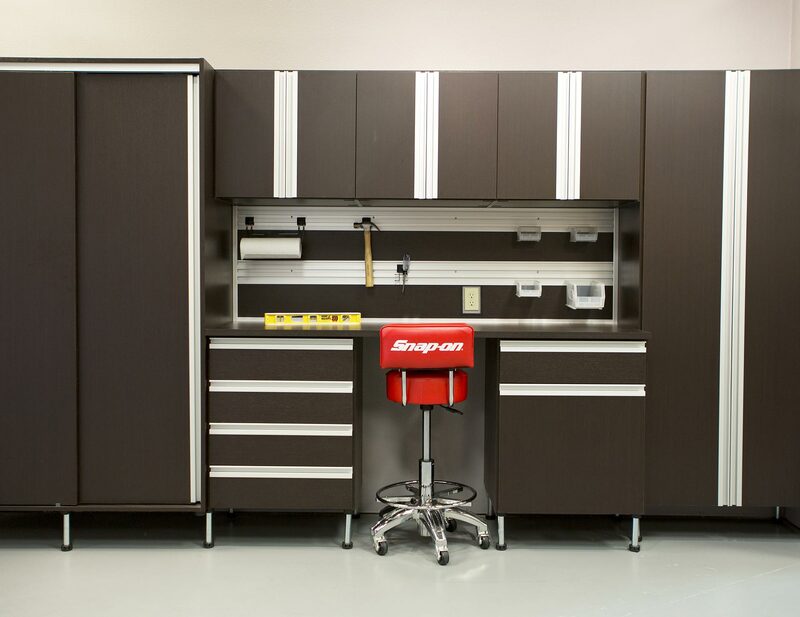 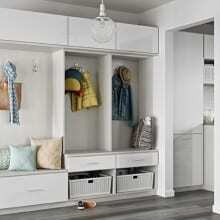 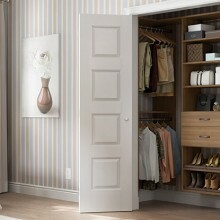 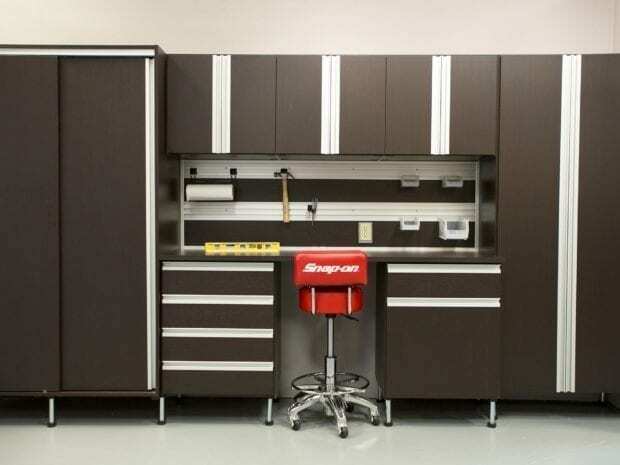 Deep custom-designed garage storage cabinets stores everything from seasonal décor to sporting goods to tools. 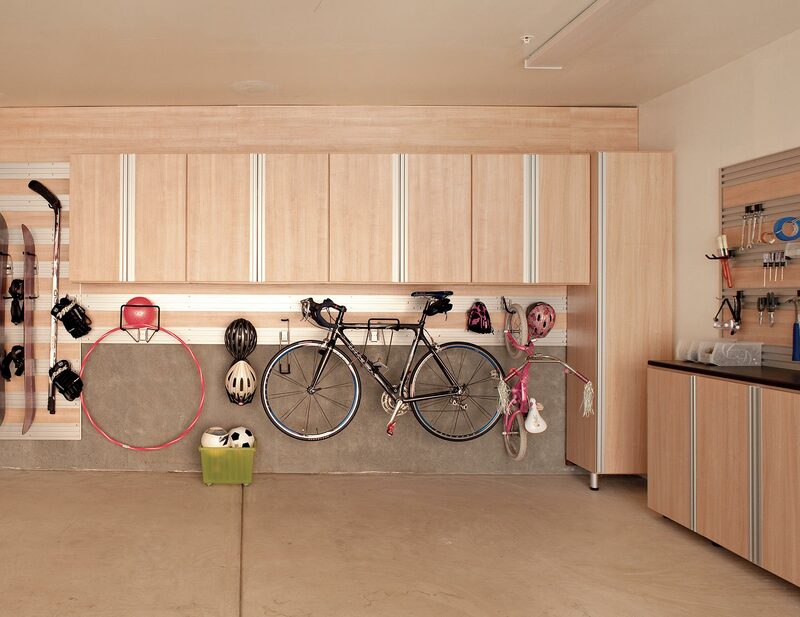 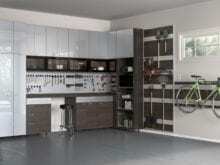 A Fusion Track Wall System holds anything from large tools to auto equipment securely to your garage wall. 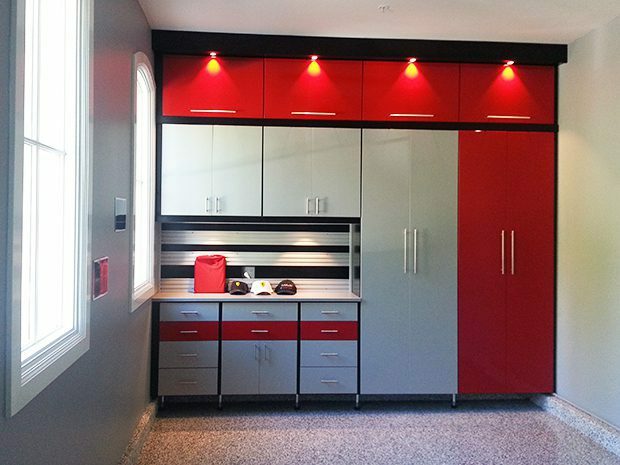 The ideal home for a client's new Ferrari, this stylish garage incorporates glossy finishes with a pop of color. 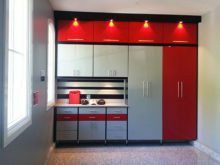 High-gloss acrylic Parapan slab door fronts in red and white add sleek color to the space. 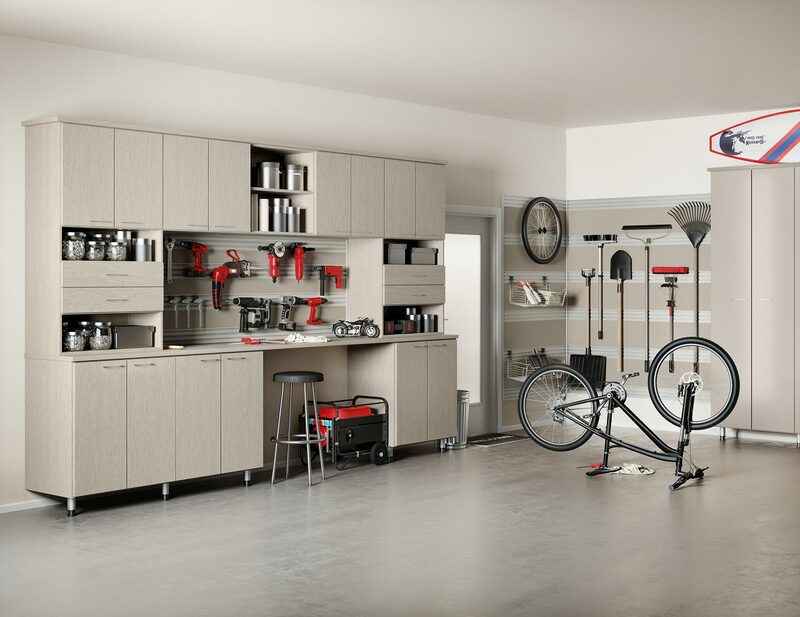 Lago® Adriatic Mist finish creates an airy color palette.